Ramadan is the religious yearly adherence in which Muslims of the world do fasting and do more good deeds. As a Muslim nation, it is our belief that the doors of Hell are closed in this month and Heavens are opened for everyone. The dates of Ramadan changes every year because Muslims’ years are the Lunar years. It depends on the sight of the moon or some astronomical metrics. Children of lower age don’t have to fast until they become young or healthy. In Islam, there are exact stats that when children have to start the partial or full prayer. But for fasting, it has not defined the exact age limit. 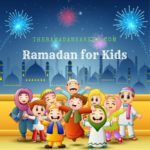 According to the American Muslim stats, children at the age of 10 should start partial or full fasting. Children are trained to do fast in lower age so that they get good practice till adult age. First surah or revelation appeared on Hazrat Muhammad SAW during Ramadan. 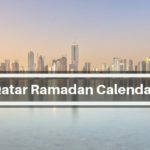 The Ramadan starts 10 to 12 days prior every year. Majority of the Muslims countries including Pakistan shorten their workout routine and day as well. The act of charity and zakat goes up this month. Zakat is mandatory for every Muslin that is voluntary. Two meals are taken during Ramadan. The meal to start the fast is called Suhoor. It is usually taken before 5 to 10 minutes Fajar Azan. The meal to open up the fast is called Iftar. It is usually taken after the sunset but before Maghreb Prayer. One who is seriously ill, breastfeeding women, passengers are released from fasting. There are free to leave the fast. But if their condition gets well then he is ordered to complete the missing fasts still. Some countries consider it a crime to leave or break the fast. It is just done for encouragement. 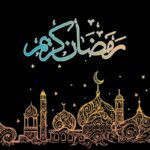 Ramadan is broke into three slices: 1stAshra, 2nd Ashra, and 3rd 1st Ashra is the first 10 days of Ramadan & also called the Ashra of Rehmat. 2nd Ashra is the next 10 days & also called the Ashra of Magfarat. 3rd Ashra is the next 10 days after 2nd Ashra & also called the Ashra to save from Hellfire. In 1stAshra, the Fast is broken with dates. In 2nd Ashra, the Fast is break with Salt. In 3rd Ashra, the Fast is break with Water. O, Allah! Save me from the Hellfire. At the last of Ramadan month, there is a gift for Muslims named as Eid-ul-Fitr. It is celebrated by wearing new clothes, making sweet dishes plus super meal, exchanging gifts and so on.